Our insurable, online Diploma is accredited by the British Flower and Vibrational Medicine Association. 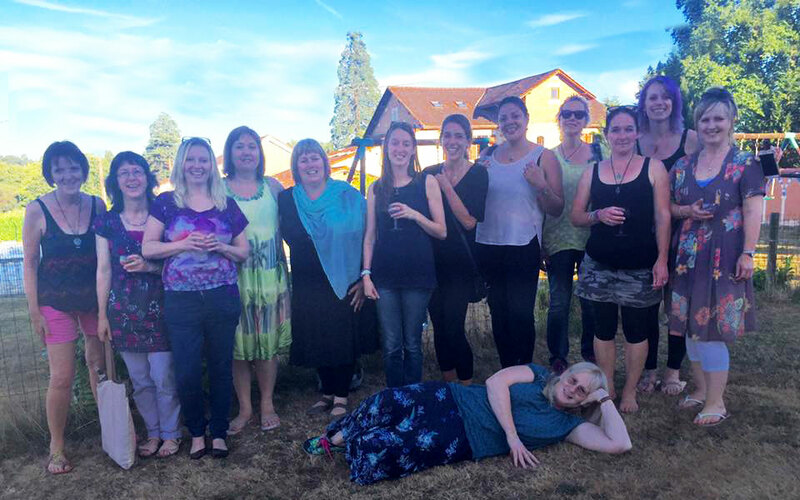 We have graduated over 55 practitioners since 2012. We’d be honoured if you would join us! All the information you need to know is on this page. Scroll down for the details. Visualise a world where vibrational medicine is fully available to all and where all people have the possibility to treat themselves and those they love with this gentle yet profound healing. 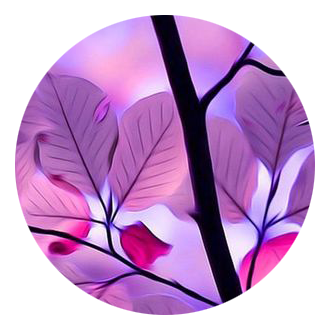 This is my vision and my passion in supporting YOU to become a specialist in the healing powers of Flower and Vibrational Medicine AND build a unique and heart centred healing practice to share your gifts with others. Is 2019 YOUR year to join us? Our Diploma IS a professional qualification (and accredited by the British Flower and Vibrational Essences Association) but first and foremost, it is a profound and life-changing journey. This Diploma brings together the very best of my own learning over the past 30 years – weaving together experience of the vast healing properties of many diverse flower essence ranges with the unique and universal language of flowers – colour, shapes, signatures and much more. 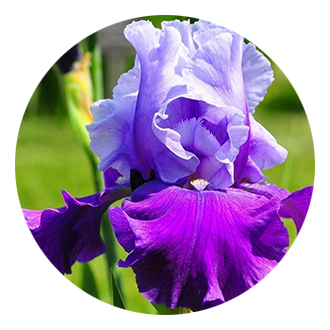 During this Diploma you will learn about modern flower essences and also the wonderful legacy left by Dr Edward Bach and his 38 English flower essences. You will experience a wide range of essences by producers from different continents – essences from around the world that have varying vibrations and healing qualities. Flower essences taken internally offer wonderful healing benefits yet I have discovered from my own experience and that of my clients that when flower essences are applied to the skin as well as taken internally, we feel more alive and more connected to our true selves faster and with much less resistance. So you will also be learning about topical application of flower essences and as a qualified Floral Acupuncture Practitioner I will be sharing with you the invaluable modality of Floral Acupuncture. There is also an option to gain an Aromatherapy Product Making Qualification using Katseye Energetic Blends at a special price available only to participants of this Diploma. Using essential oils alongside flower essences is a perfect marriage for topical use, drawing us in through our senses and accessing the healing of the plant kingdom through the use of these precious, high vibration essential oil blends. Many of our participants who have taken this option have created and launched their own product ranges that combine flower essences and essential oils. By studying the modules, listening to the mp3 interviews sent to you each month where I interview the top flower essence producers featured in this Diploma and by using the essences sent to you each month both internally and topically, you will learn to feel the “essence” of each range and therefore their potential for you. As you journey through this Diploma, you will learn what vibrations suit your own constitution and as a result will be able to choose essences that resonate deeply within you. Each participant’s journey will be unique yet also rich in experience and healing. Participating in this Diploma and really experiencing the profound healing powers of the nature kingdom is a first stepping stone in developing an inner knowing of who you, transcending any life challenges and stepping into your own power. Building a successful and thriving practice is also a key component – so your materials also support a creation of a practice so that allows you to share your gifts immediately in a way that nourishes and nurtures you and your clients. My aim is to support you as you make this journey so that you emerge not only with a professional qualification, the ability to guide clients and loved ones with their own healing and create a successful healing practice but most importantly as a wiser, more confident YOU – more in touch with your heart’s desires and knowing the path to YOUR true potential. Today I look and feel totally different to when I first began this journey. On my journey to wholeness, I have experienced many different complementary modalities and all of them helped enormously. The one that began my journey and that opened my heart to the truth of who I am was flower medicine. And this is the way I now lead my life. I am grateful for the level of peace and happiness I feel today – so much of this is down to my work with essences and the devic kingdom and how they have taught me to embrace who I am, forgive the past and look to the future. I share my life with my soul partner Ian and our two cats and we live in a beautiful home in South West France. Our lives are content and we feel a sense of fulfilment with our lives and an ever growing sense of who we are and why we are here. I invite you to take this journey towards reclaiming your own inner voice and creating the life and healing practice you were born to lead and share…..the journey is life changing and profoundly beautiful. What do some of our graduates say? "Cranio-Balance therapist for years before I met Sara, I had quite a knowledge base as well as experience. And so it was with great pleasure and surprise that the Flower Essence Diploma course provided me with not only a passion for Flower Essences, but with an education into the greater aspects of healing and the energy world that I had not yet experienced. I found the Diploma to provide an above and beyond – but so necessary – education about chakras, intuition, our own journey, our strengths as empaths, and intuitive practice. Sara opens our eyes and allows us to experience essences of all types from all different ranges, introducing us to all different range makers, and to various other therapies and aspects of healing as well. I loved that I not only got a great education and found a passion for Flower Essences, but I found myself in a community of like minded wonderful women who are now a major part of my social network and great friends and support. Sara is a teacher and mentor like no other, generous and sincere in her encouragement and belief in her students. She sees our strengths and stands behind us and beside us cheering us on and nudging us forward in encouragement of fulfilling our greatest potential. I highly recommend this course for anyone looking to expand their passion and experience in the healing world." "This course has quite literally been life changing for me and I am so thankful that I had the opportunity to take part. With the support of Sara and the other students as well as the flower and gem essences I have had the confidence to really connect with my inner self and listen to my heart, which has opened up a world of opportunities in work and my personal life." "This course is life changing, life affirming and a joy to undertake. What the flowers and gems bring to your life is nothing that you can foresee. The course is supportive, fun, interesting, creative, inspiring and I have made a group of friends for life. The weekends, heart space and webinars have given me the opportunity not only to make new friends but connect with people who I maybe would not have met in any other way and also given me a network of like minded colleagues. The information provided is informative and easily available whenever you need it. All facilitated by Sara who truly supportive and genuinely cares about how we develop ourselves as much as much as our businesses. Words cannot express the gratitude I have of being able to undertake this course, the whole experience has been life changing personally and professionally and only for the better. I would highly recommend it." "The Diploma for me has been a magical journey. When I joined I had lost my husband just over a year before. I was focused and keen to do the course but also experiencing a great deal of raw grief. 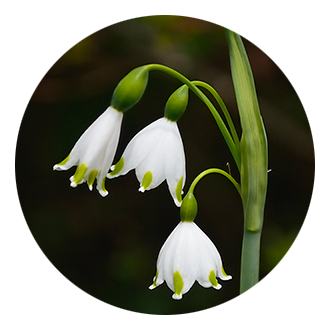 This course has gently supported me with this journey whilst gifting me with knowledge and experience that I can now take out into the world so that I may help others with similar experiences embrace grief as a natural part of life and to journey with it naturally and with the support of nature. I have also grown a great deal in confidence with the support of Sara and the Diploma community. I have a heart full of love and gratitude that I have been blessed to have had this magical life changing experience with essences." "When I began the Diploma in Flower Essences with Sara I had no idea just what a transformation that it would bring for me on a personal level. The course is well delivered, highly informative and comes with an extensive level of support and encouragement. The way the modules are taught takes you on a journey of self discovery and healing that enhances the learning process, giving both a firm foundation and a confidence to explore deeper and grow at your own pace. It gives you confidence in your ability to work with others and support them on their journey. This course has been the most worthwhile I have ever done, as soon as I was immersed in the course work it changed from a purely learning experience to a journey of personal discovery and healing and a real feeling of understanding of what working with essences can bring for others. It is definitely a life changer and I can’t recommend this course highly enough!" During this 12 Module course you will learn about and experience many essence ranges. Other essence ranges may also be discussed during the course. Why learn about different ranges of essences? The experiencing of different vibrations of flower essences of varying colours, shapes and that grow in climates very different from your own is a way of fine-tuning the self to feel and attune with vibrations that are resonant with the Self. By learning to do this for yourself, you will then be able to do this for others. Working with the major international ranges of essences also helps you – as a practitioner – develop an extensive repertoire of knowledge. The qualification is not dependent on any one range of essences. It is intended that on graduating from this course, you will have broad experience of many different types of essences/vibrations and therefore of which vibrations and ranges are resonant with you as a person/practitioner. Why study with Essentially Flowers? 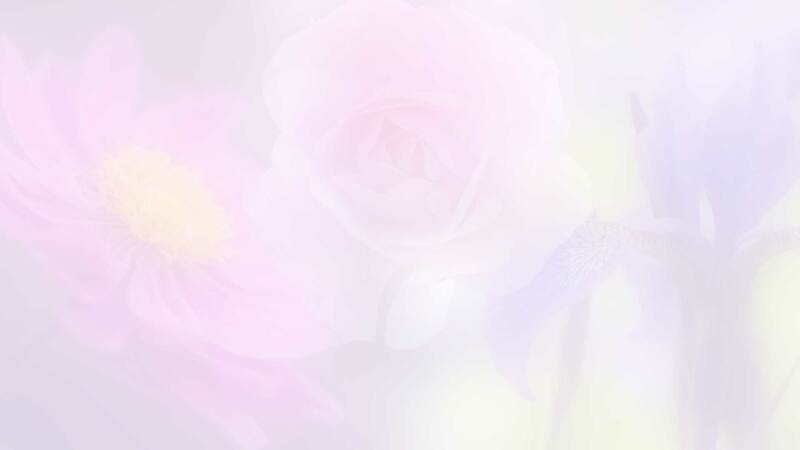 Each month you will take your monthly flower essence plus be encouraged to take essences internally as required to uplift, relax and smooth your path through this Diploma. You will be guided to choose essences for yourself each month in your workbook plus be invited to share and learn from other course participants. Sara has been using vibrational medicine for over 30 years and understands deeply how supportive this modality can be to help us navigate through life. As a qualified Floral Acupuncture Practitioner, Sara shares with you a whole module dedicated to Floral Acupuncture. You will be encouraged in each Module to begin feeling the difference between internal and external use of essences. Gem Essences feel different to flower essences – this difference in vibration is explored in one of the Modules. You are also encouraged to explore and experience environmental essences. Embracing these three key different aspects of vibrational medicine allows you to develop into a highly attuned and experienced practitioner. Each month you will take a chosen essence from the Range of the Month and document your experience while taking it. By sequentially taking one essence from 12 different ranges, you will experience the vibrational differences between each range and which vibrations best suit your own and your practice. As students of flower and vibrational medicine, it is key to honour the modern heritage of what you are learning. The Bach Essences are studied in Module One and you are encouraged to work with them in further modules so that on qualification, you have a working knowledge of this very valuable range. You are encouraged to begin to make your own essences (flower, gem, colour, environmental) during this Diploma using the plants that grow in your neighbourhood. Your course books give descriptions of different methods of making vibrational essences. You will be encouraged to trial a selection of diagnostic methods of choosing essences – such as intuitive diagnosis, dowsing and muscle testing – and find the ones that suit you and the way you work. You will be amazed at how much your intuitive self will develop during this Diploma and how you will begin to just KNOW which essences you and/or your clients need. Each flower, plant, tree speaks to us through its shape and colour – you will learn to recognise this language called the Doctrine of Signatures, which tells us much about the essence/the message of the plant. You will be taking a journey each month through the colour wheel – white, red, orange, yellow, lime, green, turquoise, blue, indigo, violet, purple, magenta and crimson. Each month the essence you take will be of one of the above colours – and so your energy system will learn the vibration of each colour and which colour vibrations best suit you. You will learn to see yourself as a being of light – through the subtle energy bodies and the chakra system. Each month you will be reflecting upon the health of your chakras – visiting one of the major chakras (root, sacral, solar plexus, heart, thymus, brow and crown) and some of the minor chakras each month. Each of the above is explored in detail in separate modules. Both animals and children love to take essences and you can be of great service by offering your services in this way. In this Diploma course you are encouraged to reflect upon your own experience of being a listener and being listened to; we also cover the basic principles of counselling such as confidentiality, congruence, unconditional positive regard and empathy. This is the basic premise of all that you learn in this Diploma – reconnecting back to plant consciousness and therefore how we are all part of the whole. 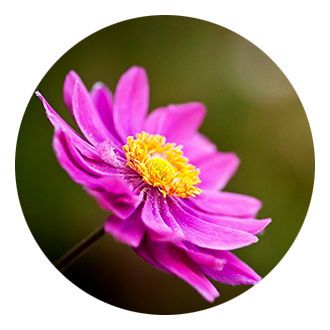 What else is included that you may not find in other flower essence courses? An in-depth introductory consultation with an Essentially Flowers Trained Practitioner (your Flower Buddy) during your first month of study. This will help you start your flower journey with clarity and confidence – smoothing out any energy imbalances in your system right from the start. Suggestions will be made during this Consultation as to what essences you can take to overcome any obstacles currently felt in your energy system. This same person will become your Flower Buddy. 3 x 1 hours calls with your assigned Flower Buddy to be taken during your 15 months of supported study. These calls are individual and offered as a way to receive support and guidance both personally and as a Trainee Practitioner from someone who has already taken this journey. Detailed coverage of topical usage of essences including Floral Acupuncture and the body mapping system as presented by Dietmar Kramer. 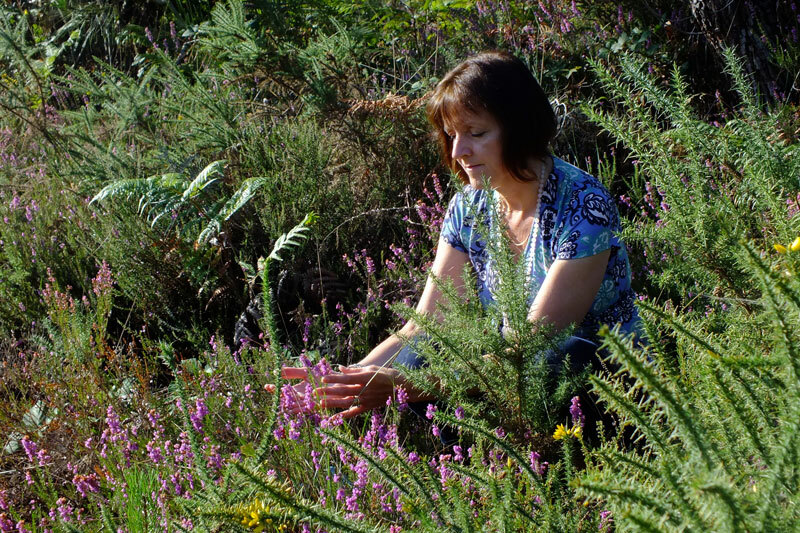 As a qualified and experienced Practitioner in Floral Acupuncture, my aim is to help you also experience the profound energetic healing that is available through this modality – that is not widely taught in most other vibrational healing courses. Access to a resource library of webinars on topics that arise as part of your journey as an individual and a practitioner. Access to mp3 recordings of interviews recorded between myself and key individuals who work in the world of healing – examples are June McLeod (author of Colours of the Soul), Warren Bellows (co-author of Floral Acupuncture), Diantha Harris (Author of Simply Color). Included to keep you inspired and connected on your journey. 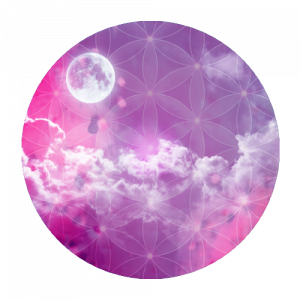 Super bonus access to attend our Manifesting with the Moon Journeys for the duration of your 15 months of supported study – should you wish to participate. The Journeys are valued at £97 for each 29-Day Journey. What our Amazing Graduates Say! "This Diploma was something I had wanted to do for many years and never thought it would be possible. Two years ago, my life had some positive changes which enabled me to sign up for this Diploma and I was over the moon and living in a state of disbelief for a while. I have found this Diploma to be one of the best things I have ever done in my life and have really enjoyed every moment. Each module I completed, I grew as a person, helping me to figure out who I was and helping me to believe in myself. I have grown from a seed to the biggest most beautiful flower. I cannot recommend this course highly enough, it’s a very informative, thorough course with amazing support on hand. Although this course was mainly done at home I never felt alone, always someone to help you when it was needed. I just want to thank Sara and her team for making this course possible, I am now ready to use what I have learnt and help others become the people they truly want to be." "This Diploma is a life-changing course. The beauty, vision, healing, and support offered by the vibrational essences will take you on a journey over the course of a year that will forever change you; and on every step of this adventure you will be supported by Sara and her Magical Team, both elemental and physical! The course is beautifully sequenced, module building upon module in every respect, and supports you in learning intellectually and intuitively. Sara’s knowledge of her field is vast and deep, and she shares her wisdom here with generosity and clarity. The Diploma is a magical creation that succeeds on every level, leaving its graduates with a profound knowledge of the nature kingdom and all its gifts, and a deep inner knowing of their own hearts and paths." "I want to thank you Sara for the great space and experience you allowed and provided during this year. Your professionalism in putting the course together, your easy way of explaining the material, and your heavenly selected essences taken during those 12 months have opened inside me doors, released limitations and enabled the flow of my real self to find its purpose." "The course has been well presented in a logical sequence and easy to follow with support where it has been needed. It was good to be able to learn at your own pace online but equally good to meet up with others on the attended weekends. I feel that I have been given the relevant grounding in the therapy to be able to use it within my existing practice. It has been an incredible journey into the fascinating world of flowers and Mother Nature. I feel humbled and truly blessed to have this knowledge at my fingertips. I loved coming along to the attended weekends – connecting with the other students and having the shared experience. Learning how to do things like making an essence which brings it all to life and helps you remember it along with the other exercises we do. Talking with the other students allows a deeper understanding by sharing their experiences it cements our knowledge. It’s good for people to connect with Sara in person and to tap in to her vast knowledge & experience and experience the support." What are the prerequisites for enrolling in the Diploma Program? It is advised that you have a foundational experience of using flower and vibrational medicine before commencing this Diploma. Anatomy and Physiology – a minimum of 30 hours is necessary to obtain a BFVEA accredited qualification. Anatomy and Physiology is not covered in this Diploma. Participants may have already trained in an equivalent A&P qualification. For those participants who have not and wish to become a Member of the British Flower and Vibrational Essence Association (BFVEA), please note that a qualification in Anatomy and Physiology up to a minimum Level 2 (approximately 30 hours of training) is needed. Mandala Courses offer an accredited Anatomy and Physiology online training. Please enquire for more details. What are the course completion requirements in order to receive the Essentially Flowers Diploma? Required Submissions: 12 Completed Study Workbooks, 1 Reflective Journal, 9 Individual Case Studies. All students wishing to obtain an Essentially Flowers Certification will need to submit their completed study workbooks for each Module (i.e. 12 Modules), submit a reflective journal kept over the 12 Modules documenting personal experiences with the essences and 9 individual case studies. Participants wishing to obtain a UK recognised insurable qualification and also accredited by the British Flower and Vibrational Essence Association will need to also attend the 3 weekends. Our weekends are held just outside Bordeaux, France in a spacious and nature based retreat centre..
Two additional client case studies from each student from in-class client sessions which take place during Weekends 2 and 3 of the attended weekends (or by prior arrangement with your Essentially Flowers Assistant Tutor) are also required for this option. All participants have a maximum of 24 months to submit all aspects of your Diploma. Support for 15 months is included in the cost of your Diploma. If you should require further support to complete, extended support packages are available. What are the investment options for the diploma programme? This diploma programme is offered in two formats, the Full-Attended Course and the Online-only Course. The Full-Attended Course includes participation at three weekend workshops in-person. This option is available to you if you can travel to France for the weekend workshops that are part of this course. The second format is an online-only study course. Read on for more details. Examination fee (to be paid upon submission of case studies) £199 – covering the cost of marking your case studies and Certification. You can begin this Diploma at any time. Acceptance into this Diploma Programme is by interview. If you would like to take part click on the button to initiate contact with Sara. 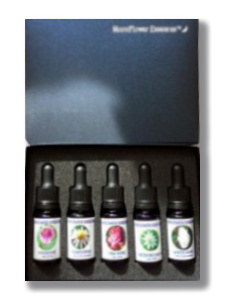 PLUS receive a BONUS set of 5 MoonFlower Essences and photo cards when paying in Full. If you need more time to integrate your training and receive more support, then invest in our 2 year plan. I absolutely loved every moment of this diploma. I knew I had to do this when I saw the diploma details and I was not wrong! This is a life-changing journey as well as a learning journey and worth every penny and every moment spent doing the course. It took me further than I could ever have imagined. Doing the diploma on line was not a detached or isolated experience because there is so much support from the tutors, the flower buddies, the forum and others on the course. Real, genuine, caring support. The diploma brought flower essences and the related subjects to beautiful life. 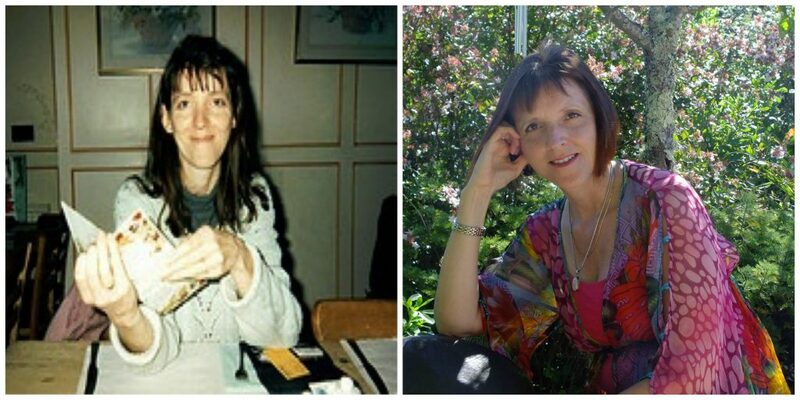 "I started my journey with Sara Turner in May 2014 with a 7 day journey to Reconnect with Your True Inner Nature, followed by a Sacred Money Alignment and the Manifesting with the Moon summer solstice. I really enjoyed the month journeying with the Manifesting with the Moon and became interested in using flower essences to help cope with depression and overwhelm. By the end of 2014 two major changes had occurred in my family and I again turned to the Manifesting with the Moon (winter solstice) to plan how I was going to cope from now on. 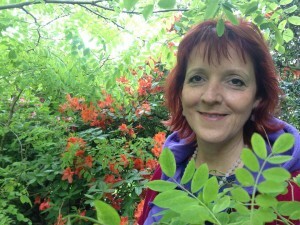 The answer came with the ‘call’ to take part in Sara’s Diploma in Flower & Vibrational medicine. Throughout my journey on the Diploma I have felt incredibly supported by Sara, her team of tutors, flower buddies and the students; through two monthly online meetings, awesome feedback on my workbooks and an online support group where we swap information, gain encouragement and confidence, and most importantly a place to ask for and be given emotional support. My journey with the Diploma has seen me emerge from the dark place of becoming the mum of a child newly diagnosed child with type 1 diabetes and a single parent in the matter of 6 weeks, through to a life changing relocation for me and my family to enable me to support my family as a Practitioner of Flower and Vibrational Essences. In myself I have changed out of all recognition; I no longer suffer with anxiety, depression or negative mind chatter, they have been replaced with peace, self-love, living in the moment and a deep love and respect for our beautiful Gaia. I shall ever be grateful to Sara and this amazing, life changing Diploma." "I would highly recommend this Diploma course. I found this course to be extremely well structured. And by far the most healing and enjoyable I have ever done. Anyone who does this Diploma will discover the biggest ‘Life Gift’ of all as I did – and that is the ‘Love and Support’ that is ever present in Nature for all of us! I am so grateful to have found Sara and been able to do this course online – it has changed my life for the better." "This Diploma has been the best course I have ever been on. It is a truly life changing experience to be connected to the amazing Nature Kingdom in this way. Sara presents the course material in an easy to learn way. The attended weekends are such a joy. A huge big THANK YOU for the way in which you help us to connect with the Flower Essences and enable us to learn so much in such a fun and easy way." "I would just like to say that I have found Sara a very knowledgeable tutor – a real expert in her field not only in the flower kingdom but also with her teaching methods. The support and guidance has been immeasurable and through her encouragement, dedication and understanding of all that has been going on in my life. I had looked at a number of courses when deciding on embarking on a flower essence journey but Sara’s jumped out the most because of the variety and the linking in of more than one modality. Having the 3 weekend workshops was brilliant – it allowed the students to come together but also it allowed for space to discuss face to face the flower essences, how one felt after taking the essences and feeling in a safe environment. I feel this is very important on a course like this. If Sara was to do any further courses – whether from a graduation perspective or a course around her own range of essences, I most certainly would be signing up without any hesitation whatsoever." IS 2019 YOUR YEAR TO STUDY WITH US…and Become a Flower Essence Practitioner and Ambassador for the Nature Kingdom? To reserve your place, book your clarity call with Sara here!